Staying up with technology can be hard on a small business budget. When the need for a new printer arises, you must balance the business benefits with the costs. With the Xerox® Small Office Savings Plan, you can get a new Xerox printer completely free when you sign up for a technology-as-a-service plan. Now that’s smart business. The Xerox® Small Office Savings Plan is not a lease. You select a Xerox printer—for which you pay nothing—that meets your unique business needs and puts the best of today’s technology at your fingertips. 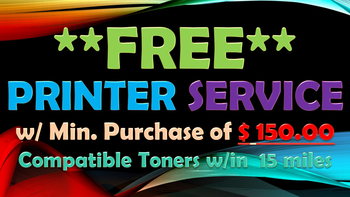 With your free printer also comes free service* and support from Xerox. Free Service When You Need It Even with the renowned reliability of Xerox technology, you may have questions or experience a problem. When that happens, you can rely on the free service and support that comes with your plan to keep your office and up running. Sign up Now ! Lets get started? Watch a video for instructions on the banner printing for this School Communications Pack. 1. 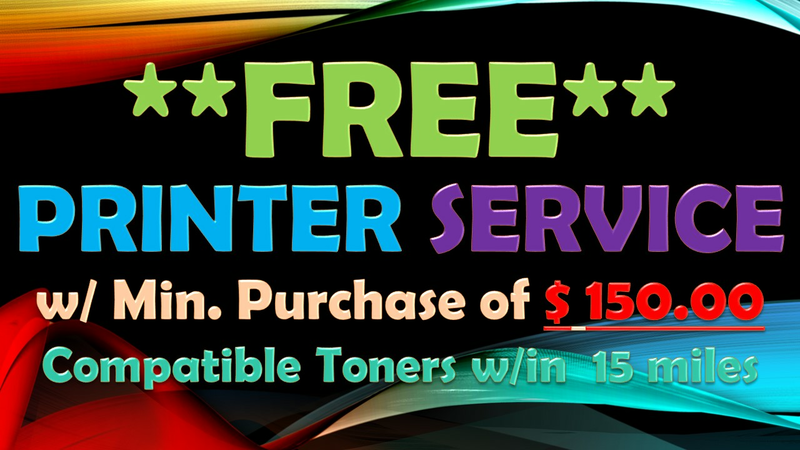 Customer must purchase a Compatible Toner Cartridges worth $ 250.00 or more to avail FREE PRINTER SERVICE which includes LABOR such as printer cleaning, maintenance check,and diagnostic test except PARTS will be charged to customer if needed and approved. 2. Customer must be within 15-20 miles from JB PRINT SOLUTIONS service center. 3. Continues purchased of compatible cartridges will received a CUSTOMER SERVICE REWARDS. FREE PRINTER SERVICE - HOW IT WORKS?